Kristin Troska: I love the Green with Brown Lid. Thanks for the chance to win. Fingers crossed so tightly. Oots is so cool! I love the blue and orange one! What a neat box! I will be packing not just one, but 2 lunches this year. I would love to try this out! I would love the purple and white. Sorry, II licked send too fast! Omg I'm really loving the orange oots!!! The orange box would brighten up any day! Clear grey would be perfect for my son! I love it! Especially how the water bottle just fits right on top. I always hate having a cute box and no drink space. These are awesome. I am trying to decide which lunchbox to get for the my son next year and I think he will like this one. 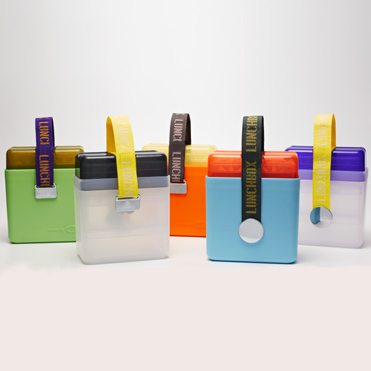 These look like pretty awesome lunch boxes! They look pretty sturdy and I love all of the container options! These are so cool and would be perfect for my Pre K this year. He has a fridge in his class too!! I would love the orange so cheerful. My daughter's favorite color is orange. It would have to be the orange and yellow lunchbox. I love the blue,orange and green one! i love the blue with red lid. I love love love lunch boxes. My kids have so many containers and different boxes to hold it all in. I am sort of obsessed. So this would be a great addition to my collection! I'd love to have the orange! Orange you glad I commented? I would love to win the Orange but the Blue is also nice. Actually I like them all, lol. I like the white/purple one! I love the red/aqua one but my heart and school spirit tells me to go with the Maize and Blue one. haha! Great giveaway! Thanks Nina! Amber G I would get the white bottom with the black lid. That way anyone in our family could use it (my boys just don't like carrying "girly" colors). Blue! Love all of them! I like the red and blue! Either the blue or the orange.... hard choice! These are great! Digging the orange! I love the clear grey one! These are so cute! My youngest who helps me pack lunches every night loves the color green, so that is my choice! I. Want. This!! Clear with Blue or Orange with Yellow...either would look great in my break room's refrigerator!!! This is adorable! I love the orange. My son LOVES orange! I would love the orange one for him as he starts the First Grade! 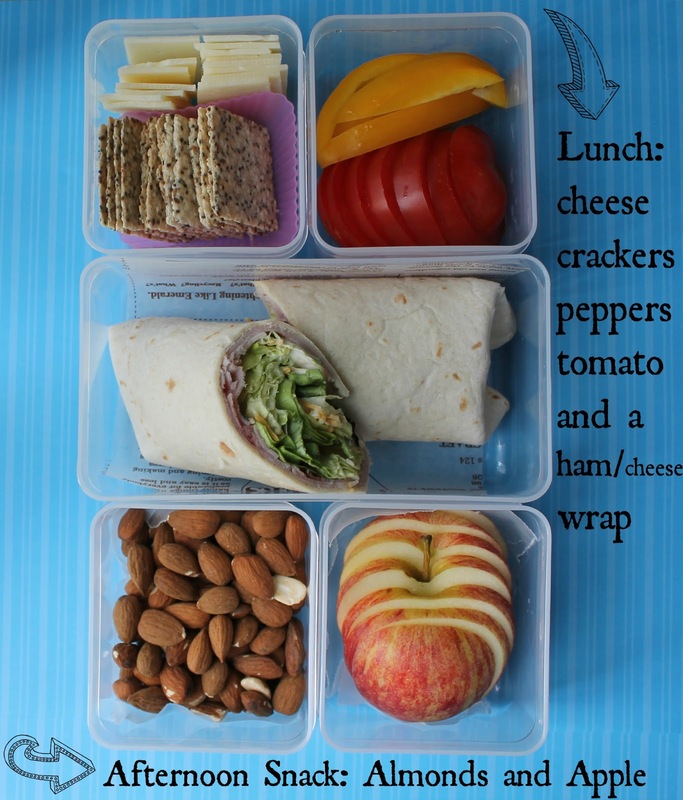 Love you lunch ideas as I begin thinking about packing our first lunches! I'd love one of each!! Thanks for the great giveaway! The blue & orange would be perfect for us since they're Syracuse colors!!! I would love to win the clear bottom black lid one! thank you for this give away! Never seen this box..LOVE the Orange. Thank you. Very cool! I like all of the colors, but I'd get blue, orange, or green, probably. Everyone at my house is of the male persuasion except for me. I love all of the colors, but I'd get blue, orange, or green since everyone at my house is of the male persuasion except for me. I would love the white and black so that it can transfer to all of us. But my middle son has food allergies and will have to pack his lunch every day. I love the blue lunchbox. I've never seen OOTS before. Thanks for introducing me to a great new product. My daughter would love the orange one. I would like to see a side by side of this next to a normal size lunchbox. I have so much trouble finding one for my fifth grader that's a good size for snack and lunch!! I'd love the orange one! My daughter picked the light blue bottom and the red top (the same one you show in this post). My daughter picked the light blue bottom and the red top (same as the one in this post). I love the green Oots! lunchbox. Even more, I love your yummy and healthy lunch ideas. I am always searching for clever, delicious lunches for my boys, and yours are so visually appealing that my picky eater may even go for them! LOOOOOVE the purple and white OOT :) I am so happy you did this review girl, I had never heard of OOTS! They look so fun. My son would LOVE the orange one! My kids would love the purple and clear OOT deluxe lunchbox!! My son starts Kindergarten this year and my daughter will be in 4th grade and they love to take their lunch to school! these are really neat! I think we'd pick the blue and orange one. I would love the purple and clear OOT. I am loving the blue :) thank you for this giveaway. 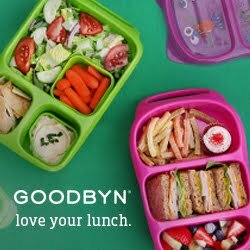 Would love to try a new lunch box for my children. With food allergies, it seems we have so much preparing to do and having a lunch box big enough for so many containers is very appealing. Also the water bottle strap is appealing to my 3rd and 5th grader. Doesn't have the "baby" look as they call it. Would love the red/blue one used in the pictures on your blog. They are all great. I would go with blue. I like the orange and yellow one! I'm just starting to make these for my daughter and would love to win one for a start. Oh its so hard to pick! I really like the green and brown one, but I also really like the yellow and orange one... I want them all! me want me want me want!! :D such a lovely bento box for my 2 monkeys & orange is their favourite colour!! Please forgive me for taking so long to post on this. First of all THANK YOU! We have really enjoyed our OOTS! Lunchbox. I agree 100% with your review. It is a big lunchbox. At first I thought it would be too big for my 2nd grade daughter. But I took your advice using it for lunch and afternoon snack and it is perfect for that. 4 days out of 5 we don't go straight home from school. With the OOTS! Lunchbox she has a complete meal to eat at lunchtime and then still has plenty for an afternoon snack. It also allows me to pack a variety of things so she doesn't get "bored". The first time she took it to school her classmates were very intrigued ("Whoa, what's that?"). I think that was fun for her. I've enjoyed using it as well! So, thank you again. I appreciate your generosity! This is a completely different lunchbox from anything we've used and with a little practice? experimenting?, in the right situation, it's actually become a favorite.